The roguelike Metroidvania Dead Cells has sold over a million copies since entering Steam Early Access in August last year, with roughly 60% of those sales on PC. That’s according to a talk from the devs at Motion Twin at the Game Developers’ Conference last week (via US Gamer). Motion Twin is a small French indie that had previously made free-to-play games for mobile and web. 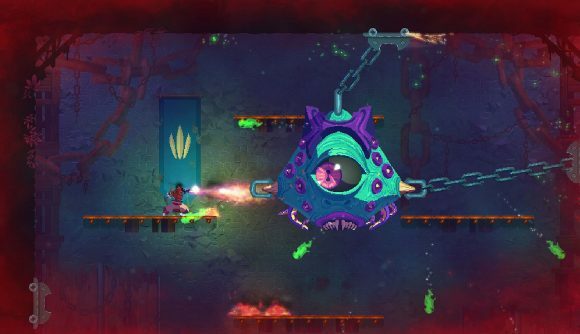 At GDC, designer Sébastien Bénard said Dead Cells was a “last-chance project” for the studio, which “was not in such good shape.” Dead Cells was a gamble, but it has clearly paid off. Almost a year ago, Motion Twin shared that it had sold 730,000 copies through Steam Early Access, so it would appear that momentum has slowed, but the small indie will no doubt be delighted by the numbers just the same. As with many games these days, Dead Cells has been helped by streamers – the game is well-suited to speedrunning, talking strategy, and other watchable forms of play. Those sales have since been topped off by a console launch, with Dead Cells also doing well on Nintendo Switch. Interested? Dead Cells is on Steam here for $24.99 (£21.99). A piece of free DLC named Rise of the Giant is due to unlock in three days’ time, adding new levels, bosses, weapons, skills, and skins. You can also pick up the soundtrack for $5.